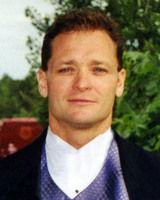 A graduate member of the Tomahawk High School Class of 1982, active in basketball, baseball and football. John earned eight letters and four All-Conference honors as a Hatchet along with other post season honors. John played basketball for three seasons missing his junior year as a result of an injury but he still lettered as a senior. Four seasons of summer baseball earned John four letters and two All-Conference honors. He was a part of four regional competitions, one sectional and one state appearance with the Hatchet baseball team. In football, John earned three letters and was a member of the varsity program for three of his four years. To say that John was mentally tough and a competitor is an understatement as he played his senior year with a broken hand. In addition to three letters, John earned two All-Conference honors as honorable mention his junior year and first team as a senior. His leadership qualities vaulted him into being selected team captain as a senior and his hard aggressive playing earning Offensive & Defensive Back of the Year award as a senior. One would say that John had a nose for the football as he racked up over 200 tackles during the season with 150 plus coming during conference action. John was one of the first pioneer athletes to utilize weight lifting, for individual improvement for sports. John has given back to the Tomahawk community by volunteering quality time with many youths. He has spent 21 years as a middle school football coach, 2 years as a middle school basketball coach, helping coach youth wrestling and little league and pony league baseball. He is a 30 year veteran of the Tomahawk Police Department, currently working as a drug enforcement officer as well as undercover work for other counties. His community involvement earned him the 2001 Tomahawk Leader Distinguished Leader Award. John and his wife, Jeannette continue to reside in Tomahawk raising their three children Taylor, Payton, & Alex to be active and positive individual contributors to the Tomahawk school and community.